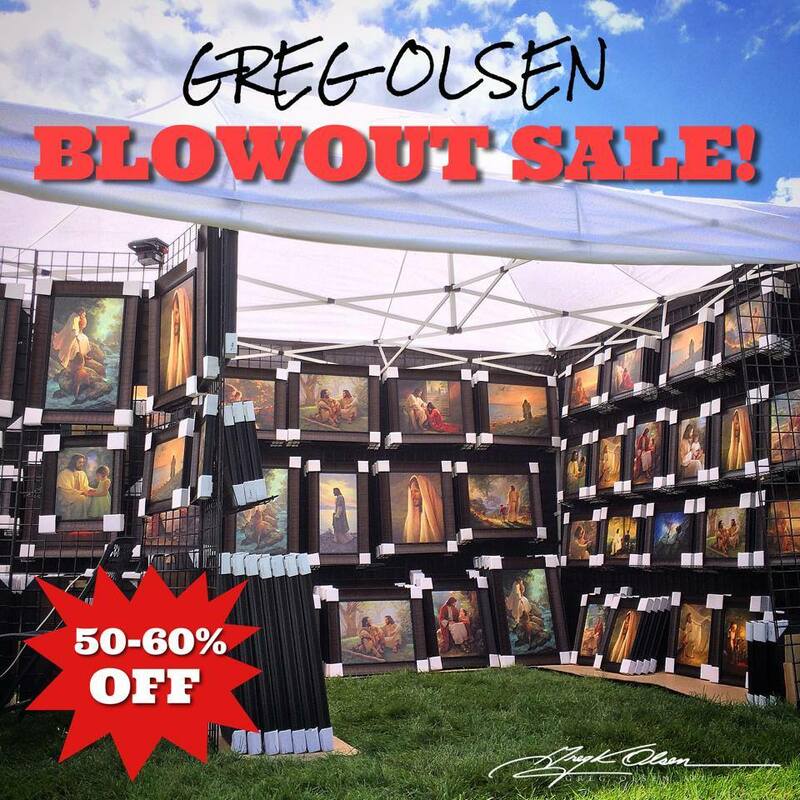 Greg Olsen Art is having a BLOWOUT SALE at Swiss Days in Heber City, Utah on August 29th and August 30 from 8am to 8pm. Greg will be there both days to sign and personalize items. Framed art is marked down 50-60%. (*Show us that you’ve shared this post/event, and we’ll give you a FREE 8×10 signed print when you drop by). If there’s a print or two you’ve always wanted…there’s never been a better time to buy. Travel safe and we’ll see you soon. There is no way I can make it there, but would love to order a picture at the 50-60% off. I live in St George. Is the any way I may order and take advantage of the marvelous sale?